The South Australian labour force is dynamic and ever-changing. As such, an increasing demand is being placed on local employers to source and recruit local talent that meets the demand of their given industry. While at the same time keeping costs low. Whether it be responding to a sudden shortage in boilermakers or meeting the demands of a complex ongoing transport project. The need for a great recruiter that can adequately identify and provide highly skilled and desirable candidates to fill those gaps has never been greater. A great recruitment consultant will effectively communicate job specifics and requirements with prospective candidates. They will then look to build a rapport with potential candidates and help create and manage client relationships. A great recruitment consultant will make it a priority to know your business inside out. With an excellent eye for detail, a great recruiter will fully grasp and understand the culture of your company. They will use this expert knowledge to shortlist a range of candidates with the correct skills and expertise. The recruitment process is also about flexibility. A great recruitment consultant will be aware that each employer’s scenario is different. They will take this into consideration and tailor their level of involvement in the recruitment process accordingly, providing bespoke recruitment solutions.  Southern Cross Workforce is a is a South Australian privately-owned consulting company with an in-depth level of understanding of the precise needs and demands of the South Australian labour market. A team of dedicated and highly trained recruitment consultants are on hand to assist local employers in finding the flexible workforce solutions they desire, thus ensuring that each candidate referred for each position is the right one for the role, not just the only one available. Ready to start applying? Get in contact with us today.